Almost half a million friends and lovers of the German shepherd dog breed worldwide have come together internationally through the German shepherd dog associations of their countries. German shepherd dog breedersвЂ™ associations came into existence in Europe very soon after the SV (German Shepherd Dog Association of Germany) was founded. Lovers and friends of the breed, which spread so quickly, joined forces everywhere in their own associations. It was up to the SV, whose breeders were already supplying animals throughout the world, to strengthen the links with associations in other countries. In 1968, the Association introduced an initiative that firstly aimed to promote international co-operation in all fields, and secondly aimed to conserve the uniformity of the breed. For the time being, its objective was to form a Europe-wide union of the associations in the neighbouring countries. A few months later, the organisation achieved success. In May 1968, the representatives of German shepherd dog associations from eleven nations met in Augsburg, Germany to deliberate on the founding of a European Union of German Shepherd Dog Associations (EUSV). After a busy weekend, it saw the light of day: Belgium, Denmark, Finland, France, the Netherlands, Italy, Austria, Switzerland, the then Czechoslovakia and the Federal Republic of Germany founded the new union. Just five years later, this supranational organisation paved the way for an even larger and more important federation вЂ“ a world union of German shepherd dog associations. It was founded in 1974/75 вЂ“ since then, the WUSV has grown to 74 member associations in 63 countries. Its objective: uniform breed standard, harmonisation of attitudes and assessment of German shepherd dogs in breed and performance, clarification of open questions regarding breeding and training, upbringing and deportment, and the control of hereditary diseases. Their headquarters is housed under the same roof as the SV in Augsburg. 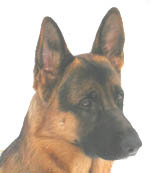 One of the high points of the WUSVвЂ™s work was reached in 1998: the European German Shepherd Dog Championships were replaced by the WUSV World Championships. Since then, these championships have represented one of the highlights in the international world of the breed.